"Japan's most popular tea"! And for good reason. 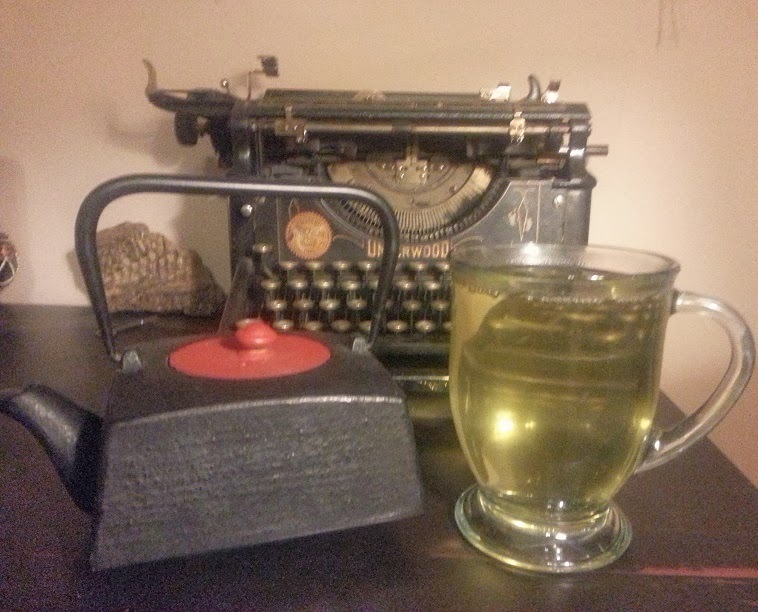 This is a lovely light green tea. The directions said to steep for 2-3 minutes, but three minutes was just too watered down for me, so I gave it another two in what was technically a second steep! Is this tea ever smooth. The flavour lingers on your tongue, but not like your average green. It's very vegetal, almost grassy... in a good way. (Saying something tastes like grass doesn't really make it sound delicious, does it?) It's really nice, and I hope the other sencha that I have a lot of (and not just a sample size) is just as good. I could drink this ALL the time. Aaaaand I just spilled a bunch on myself trying to take a drink. Because I'm about as graceful as a brick in the wind... yeah. Yoshi likes it as well. Unfortunately, he is too afraid of the cup to take a drink so I can capture it on camera. Last time he attacked my tea a little too soon after being steeped and burned his little toes, poor baby. He wants it from my mouth, birds are gross. This is the corner of my desk, where I write my blogs. This is not staged (besides the picture of me as a child with my dad that I moved out of frame). This is actually my desk with a -working- 115+ year old typewriter and that lump in the back is a chunk of fossilised dinosaur jaw. The rest of my desk is no less nerdy. The other corner has a ton of crystals, a crystal lamp and candle holder, and an ammonite. I will take a picture some time of my whole office when it isn't so bloody messy. (I'm such a slob!) And when I get better lighting, I had to point a lamp at my tea because the light fixtures in our bedrooms are on one side of the room, and my desk is on the opposite side. WELL! Enough rambling about myself. 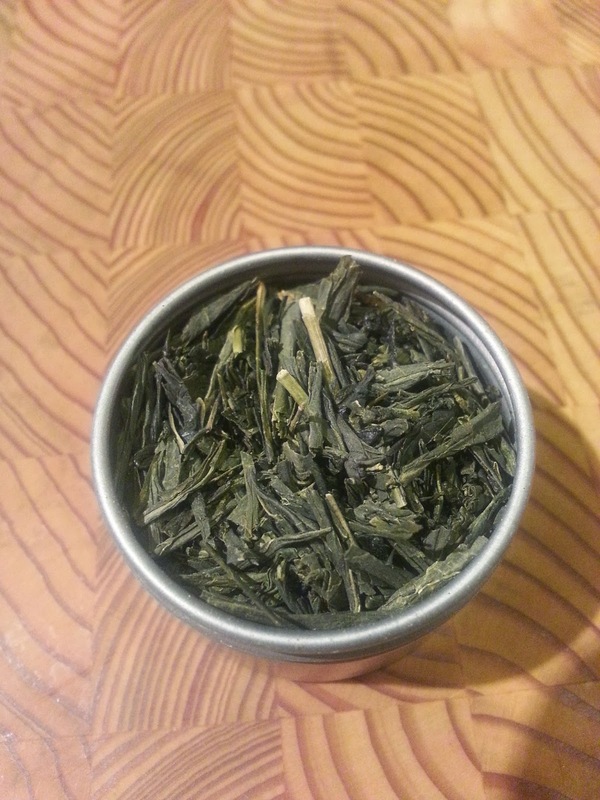 Go take a cheap trip to Japan (ie: in your mind, for us poor folk) with a cup -or several- of sencha!